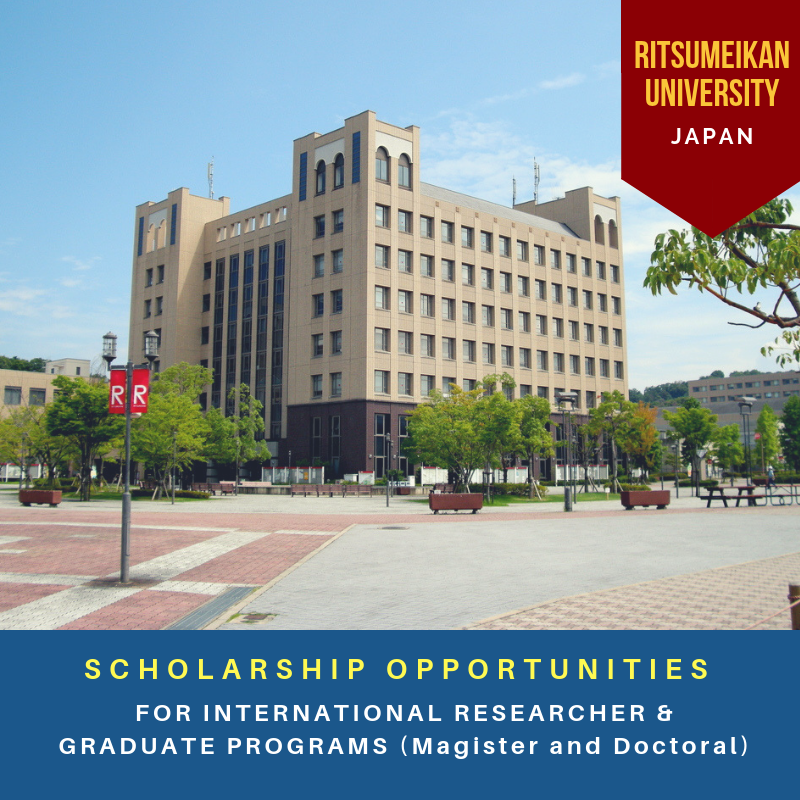 Ritsumeikan University opens the 2019 Monbukagakusho (MEXT) Scholarship for Overseas International Degree-Seeking Students and International Research Students with the assistance of scholarship financed by the Japanese Ministry of Education, Culture, Sports, Science, and Technology (Monbukagakusho). These scholarship will be made available to students whose applications are approved by the Monbukagakusho, based on the recommendation from Ritsumeikan University. The information about this year’s scholarship application processes, along with application procedures are available here. The downloadable forms are available in Ritsumeikan University (english version) website.